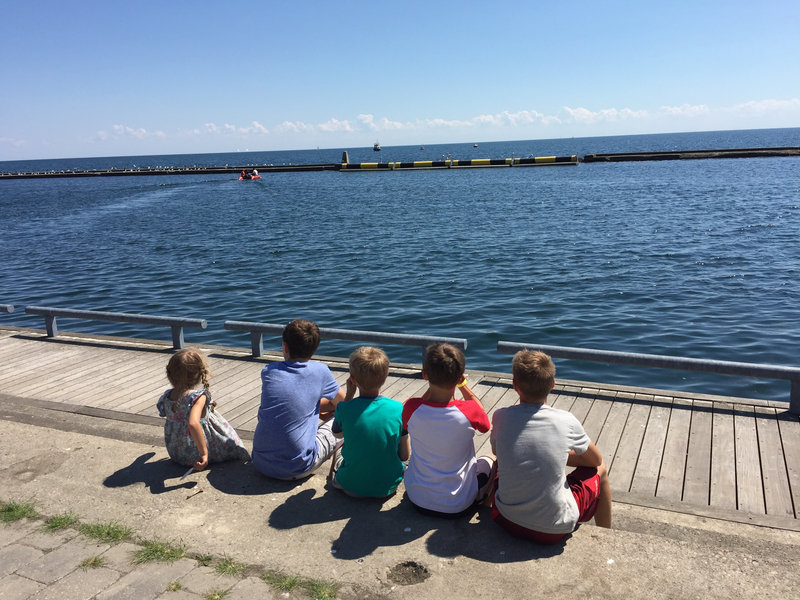 Lake Ontario 2016 and other Adventures! A tiring, challenging, and really wonderful experience with an extraordinary team. Starting off from Queen’s Royal Park in Niagara-on-the-Lake at 8:38pm on Monday, August 1st, we arrived at Marilyn Bell Park at 3:13pm on Tuesday, August 2nd. 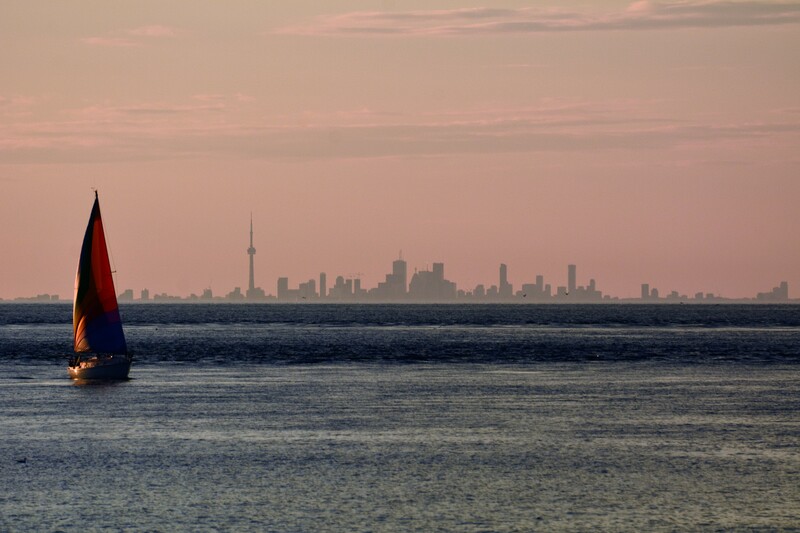 We had almost unbelievably good conditions: a still, starry night after a beautiful sunset, riding the push out of the Niagara River, then a calm, sunny day as we approached Toronto. The unofficial time awaiting formal SSO ratification is 18hrs 35min 8sec. Slower than I’d hoped, but faster than I’d feared! 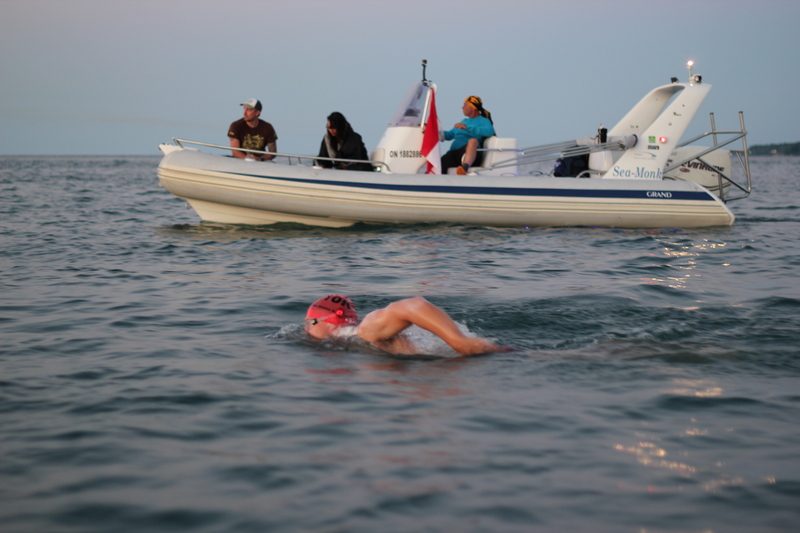 Here is some of the media coverage of the swim, and a photo montage of the entire experience! 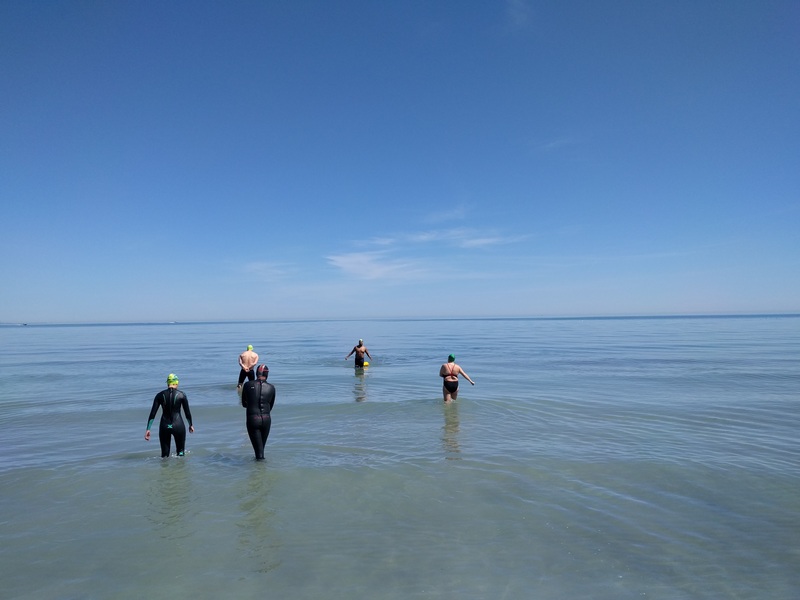 Eventually I will write up a detailed account of my impressions of the swim, how our team worked so spectacularly well together, how the conditions came up to let us get across, and what I might do differently in terms of training for future projects. 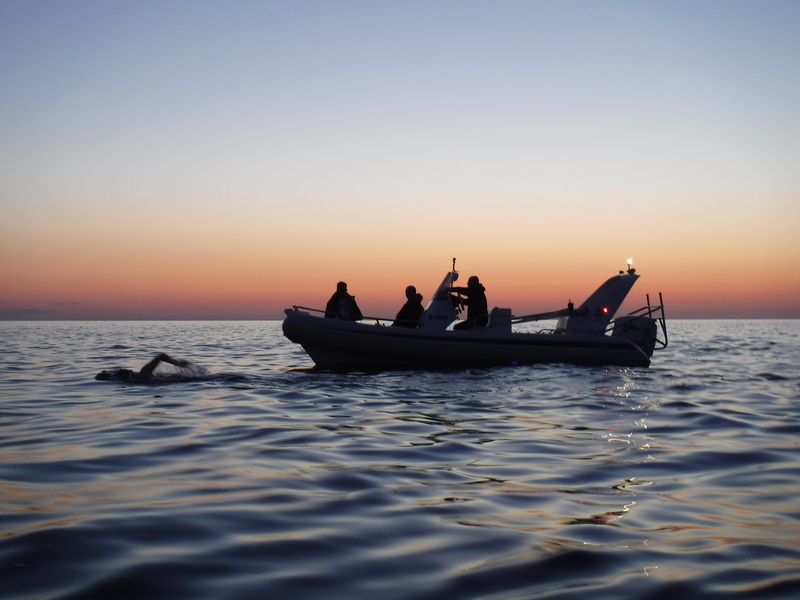 I will note here, in the spirit of transparency and integrity for unassisted marathon swims, that there were three points of incidental contact, with me, by the crew during the swim. 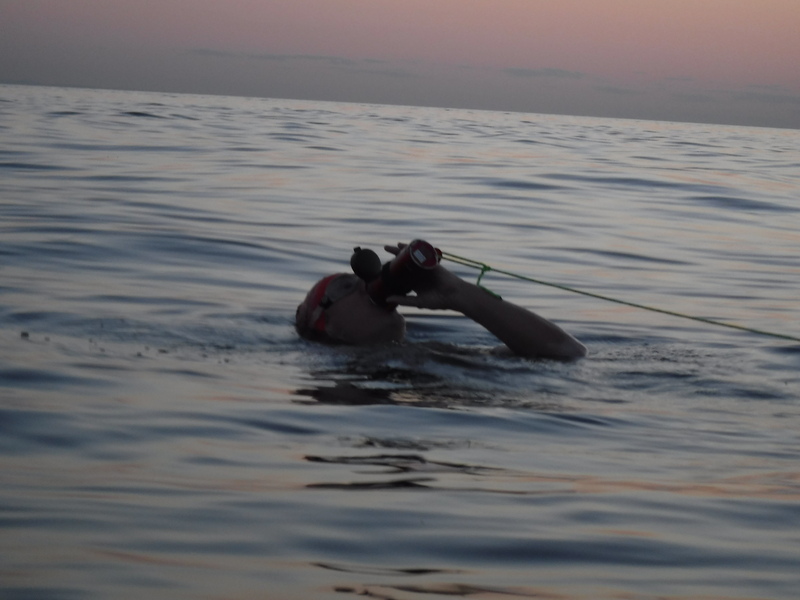 After sunrise, Swim master Shaun Chisholm got in the water during a feeding stop to remove the glow sticks that were pinned to the back sides of my swimsuit, off of my hips, while I treaded water. Several hours later, Shaun got in again to spray some sunscreen on the back of my neck, where the zinc had worn off, again while I treaded water. 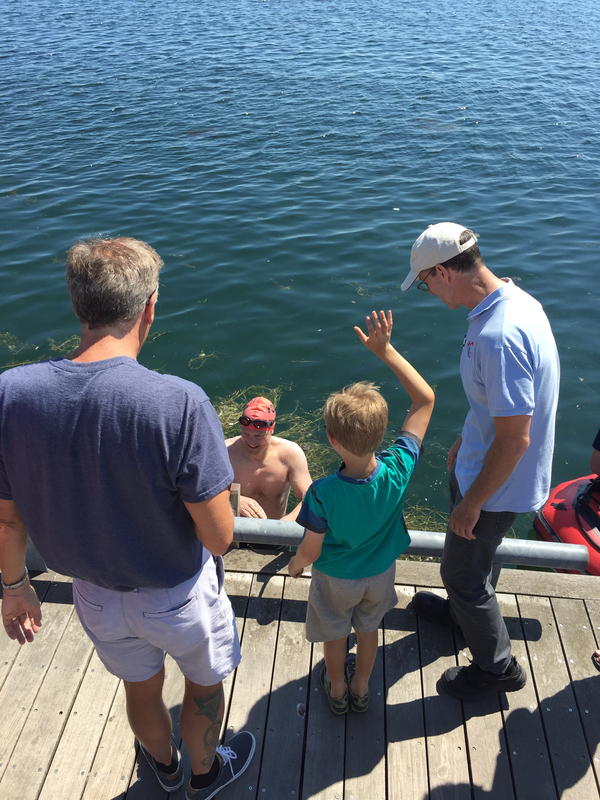 While the sunscreen was a spray application, I believe there was some transient incidental contact while we were close together in the water. 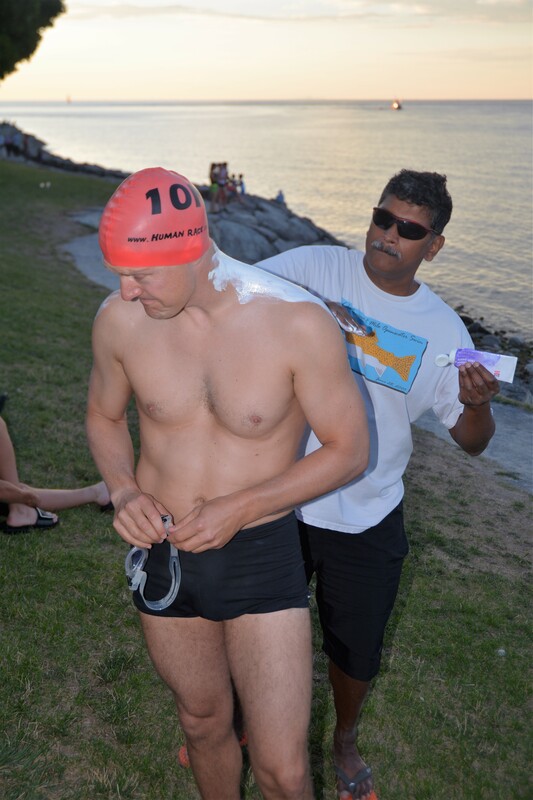 A short time after that, during a feeding stop, Madhu reached over from the support boat to put on some vaseline on the same spot on my neck, which I then spread over the back of my neck myself, again all while I was treading water. 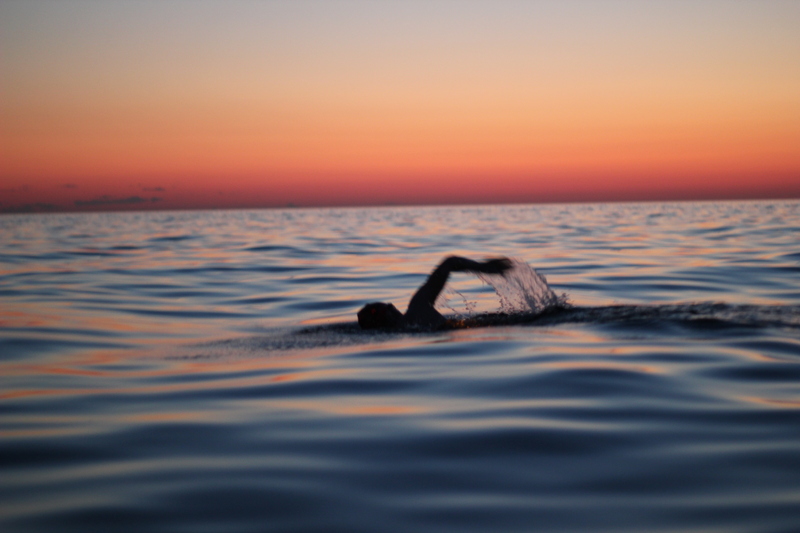 At no point was there physical support rendered, but I want to be up-front about any and all contact during the swim, even if unremarkable and consistent with Channel, Solo Swims Ontario, and Marathon Swimming Federation rules. 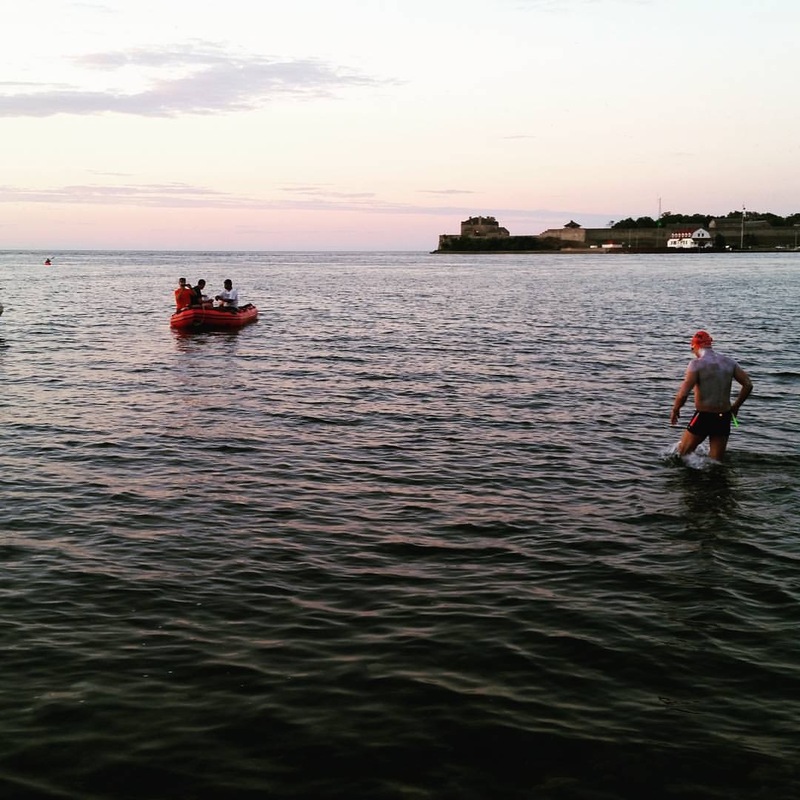 That note, and other reflections on training, teamwork, and the lake, will eventually follow. 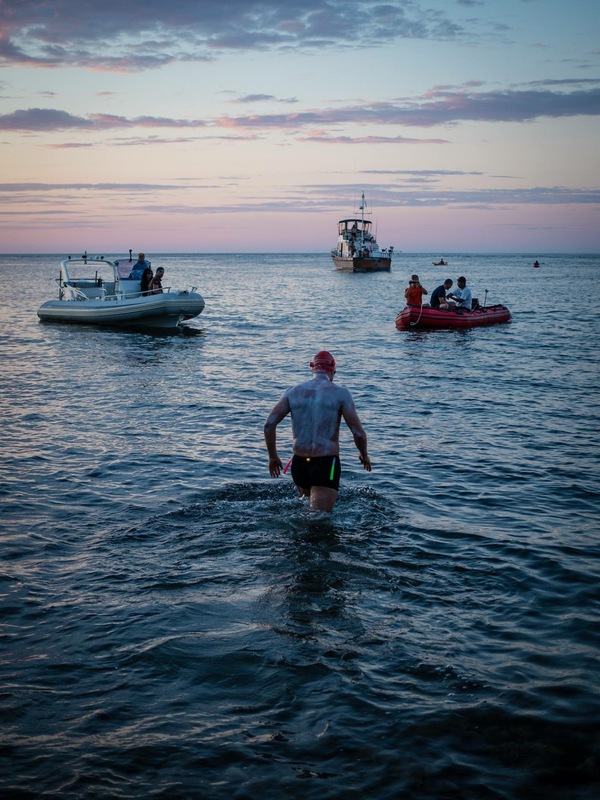 For now, however, I’m simply going to repost much of what I’ve already posted on Facebook and Twitter following the swim, so that those thoughts and feelings of immense gratitude are here for posterity. 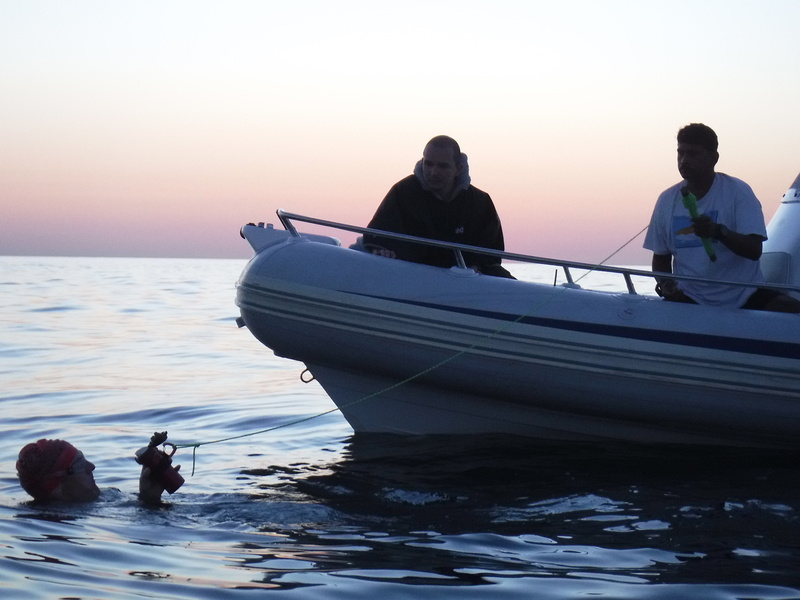 Mauro Campanelli managed the whole project and coordinated everything on shore with formidable competence. Our pilots were outstanding: Thomas Dobokay with “Sea Monk”, and Jack and Coco from Boomers Sporting Adventures, with “Veteran’s Dream”. 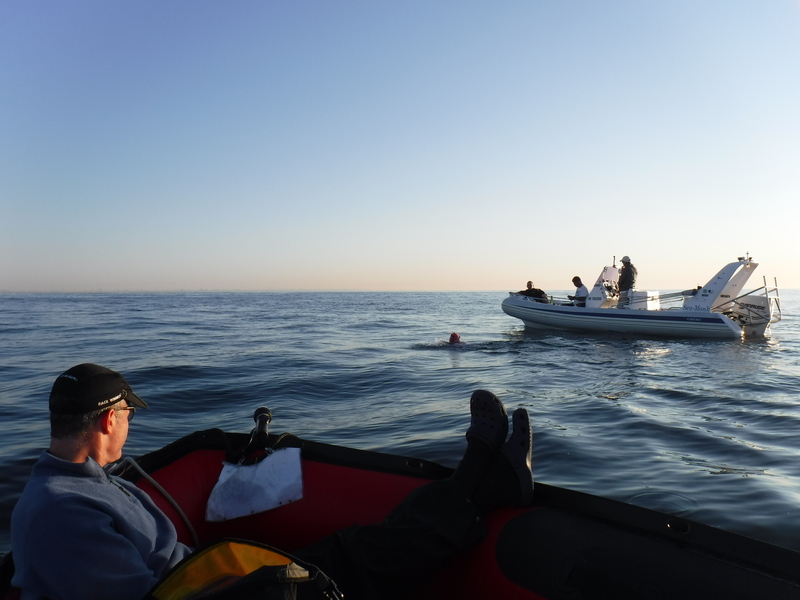 Navigator and all-around superb sailor and coach Alex McMillin, working with swim master Shaun Chisholm, kept us on course (John Scott, longstanding record holder on the Marilyn Bell route, was our swim master for the trial swim, which was a real privilege as well). Team doctor Juan Gabriel Acosta watched over everyone. 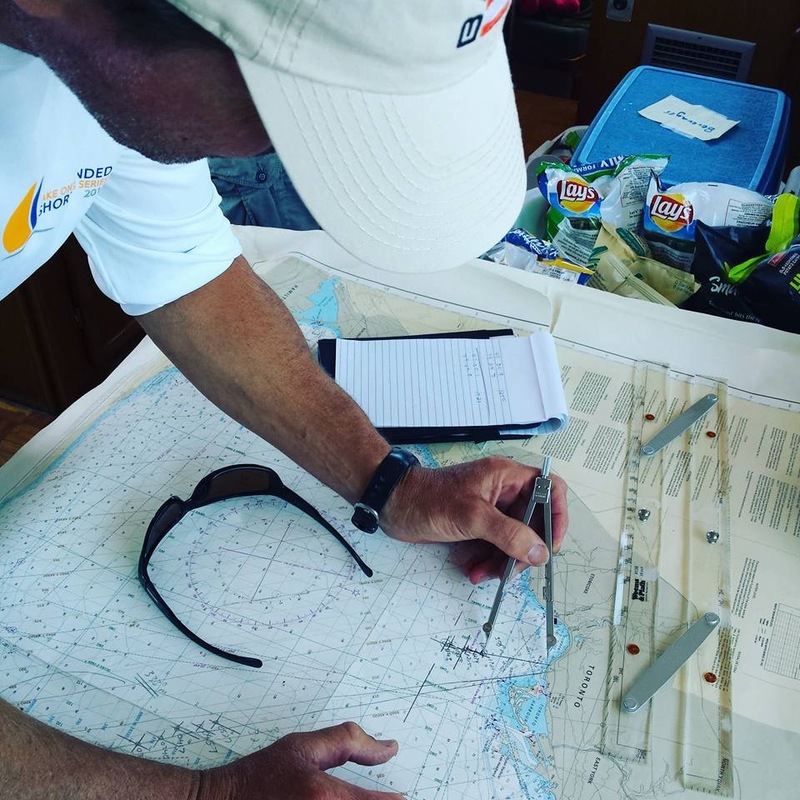 He and the rest of our water crew, Lynn De Lathouwer-Rodgers, Mark Bintley, Christine Hui, and Geoff Farrow, led by the intrepid Madhu Nagaraja, my mentor in open-water craziness, all kept me on line. 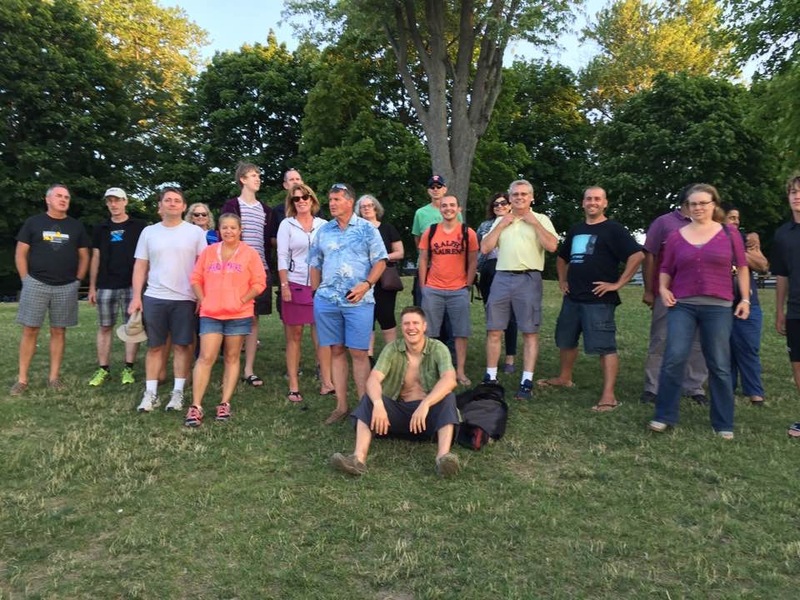 Brett Titus got Madhu and I (and all our kit) to Niagara-on-the-Lake on the afternoon of the swim with good cheer. 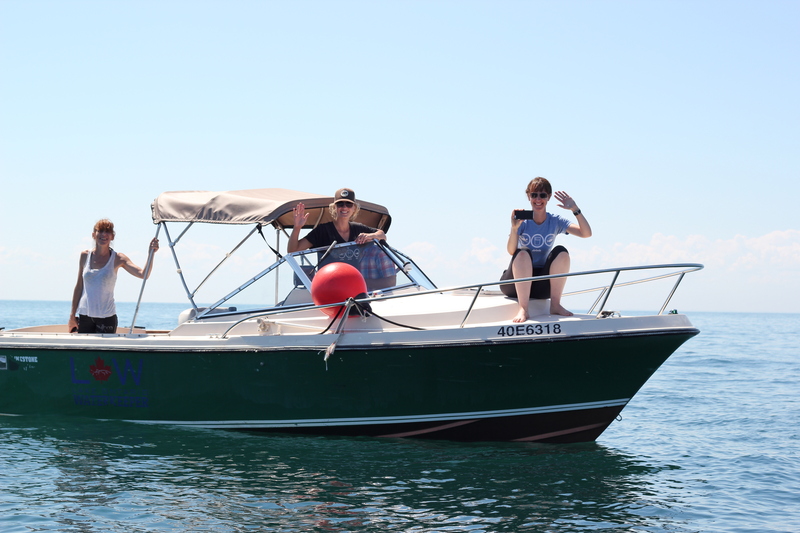 Tracey Ehl and Doug Harrison were kind enough to offer us the use of their boat and had brought it down to the lake, for which I am deeply grateful, even though we didn’t manage to get them in the floatilla in the end. 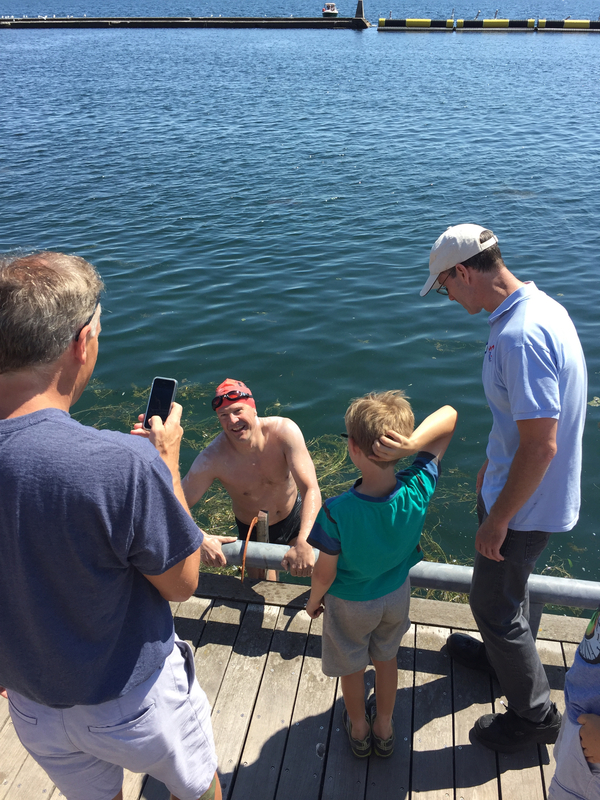 Thanks to so many friends, fellow swimmers and adventurers, who supported us along the way and joined us at the start and finish: Bud Seawright, France Jolicoeur (who couldn’t be on the boat this time, but was with us in spirit! 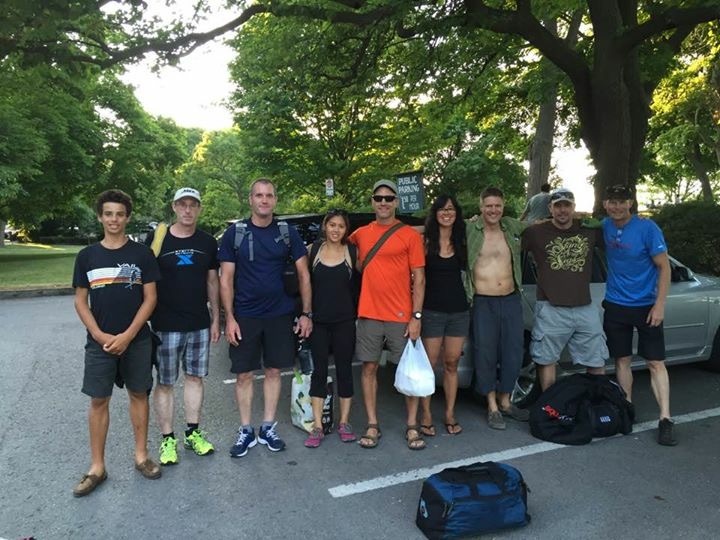 ), Alan Swankie, Steve Ellison, Michael Kenny (aka #SwimDiesel), the extraordinary Greg Streppel (who dominated every major FINA world open water competition in the early 1990s), Duane Bouyea, Jason Hughes, Brenda Lussier-Neumueller, Azim Essaji (who came to see us off with his wife, along with our mutual friend, awesome Aussie swimmer/economist Christine Neill), Shaun‘s dad Tony Chisholm (who also boated out much-needed morning coffee to the lead boat – above and beyond! 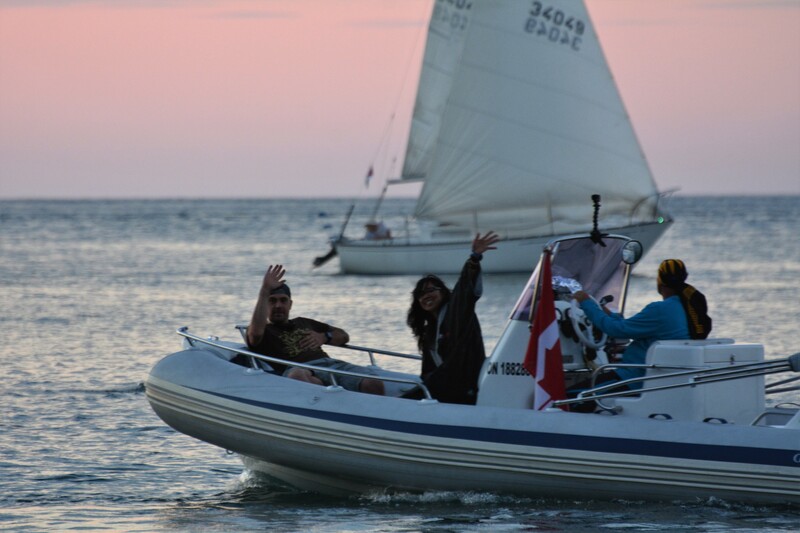 ), Anita Doppenberg and Christine Arsenault (who also offered us their boats – thanks! 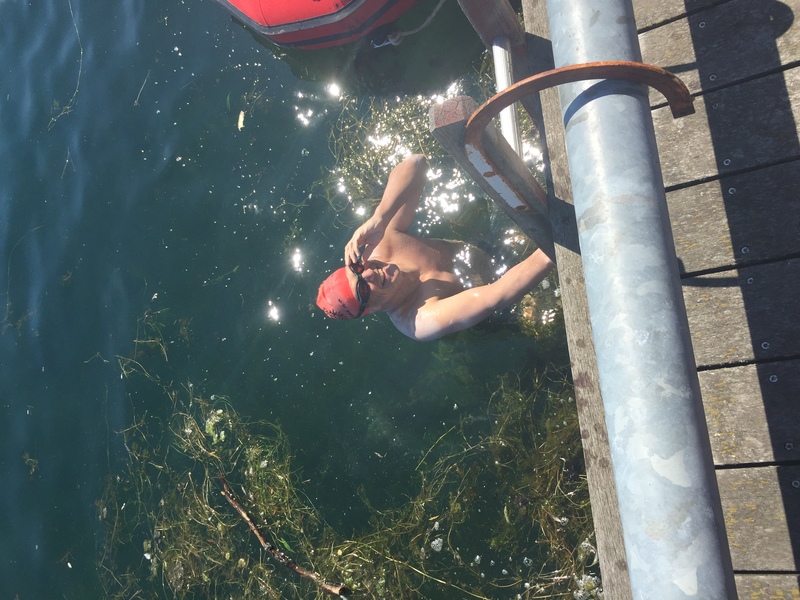 ), Eileen Luxton (who, along with Christine Hui, got me sorted out with appropriate nutrition after the swim when I crashed a bit … who’d have thought a can of coke could do that!? 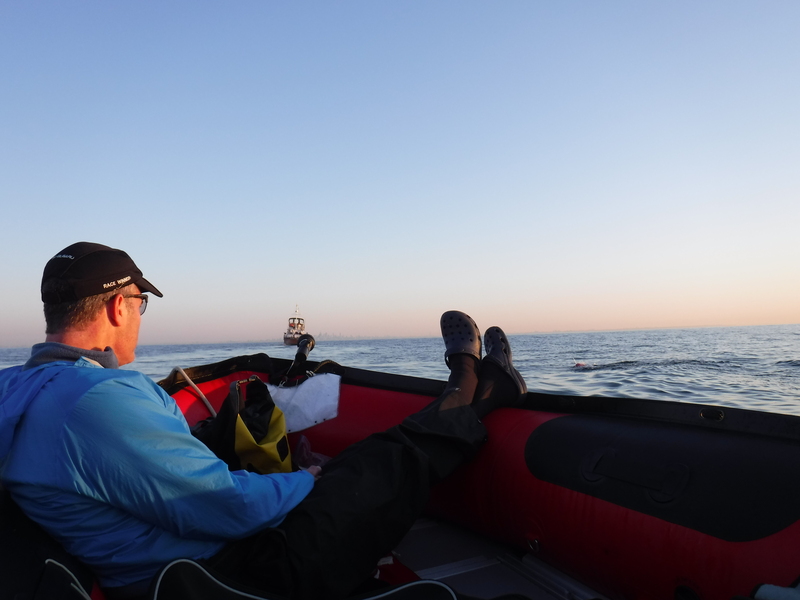 ), Mark Luxton, Rob Kent, of LOST and GSS fame (of our recent LongIsland/LakeO open-water relay? 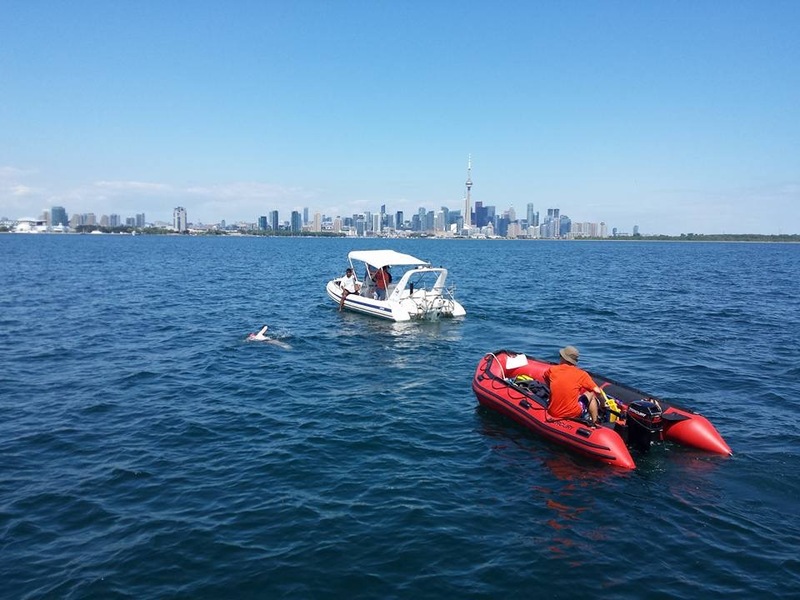 he got the shorter leg, but his had sharks, so we’re even), Steve Hulford, of Toronto Island Swim fame. Jayne Bintley managed our social media updates brilliantly. 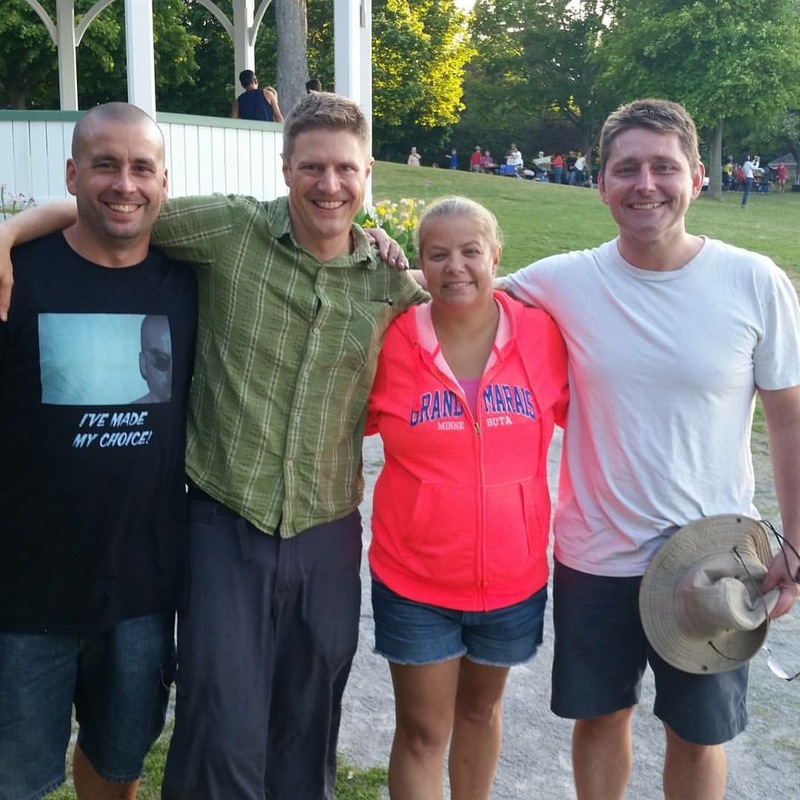 Vivian Wong has been working tireless on arts outreach and fundraising for the Great Lakes Trust. Together, Jayne and Vivian have been developing some great ideas for supporting the lakes. 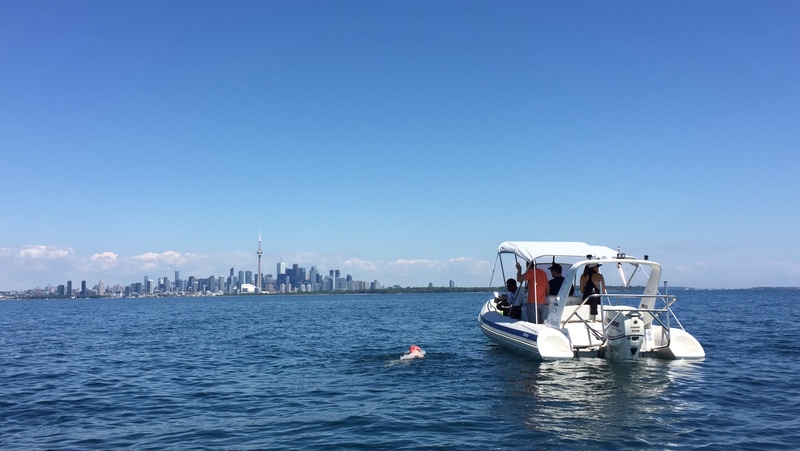 My friend Daniel Munro followed the swim from Ottawa and posted updates on Twitter, as did my old friend and fellow Hamilton swimmer Catherine, which was a pleasure. 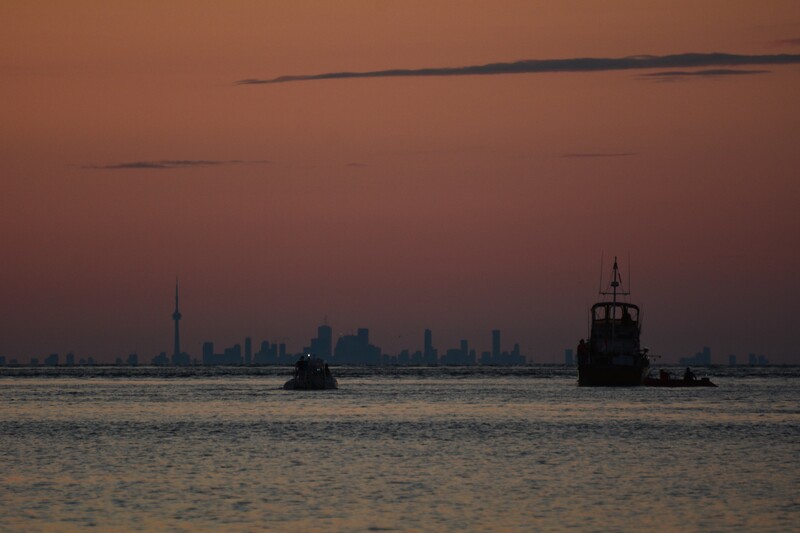 Also following along were some extraordinary folks you’ve read a lot about from me: Krystyn Tully, Mark Mattson, Claire Lawson, and the rest of the team at Lake Ontario Waterkeeper. 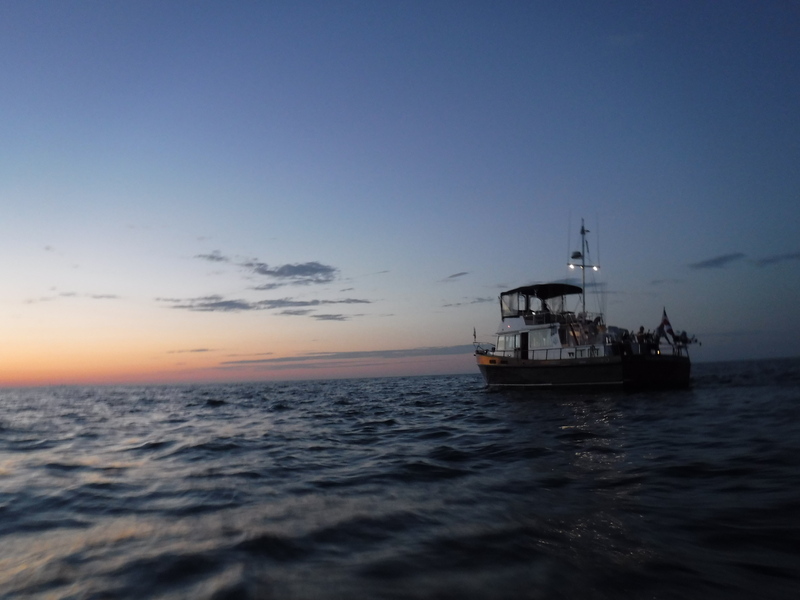 I came home to find an email about the recent fundraiser to restore their boat, the Angus Bruce. 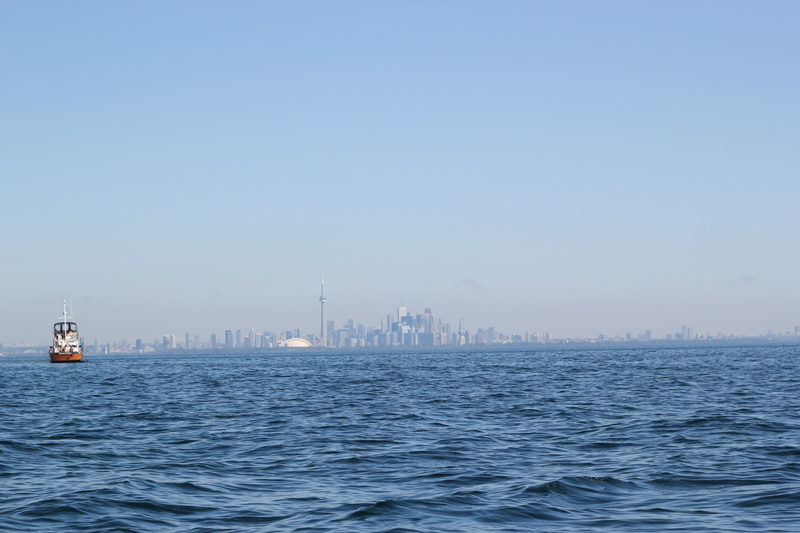 They were successful, and the mailing ended with: “We’ll see you out on the water!” That turned out to be literally true: as we approached Toronto we paired up with the waterkeepers doing a round of sampling across the outer harbour! 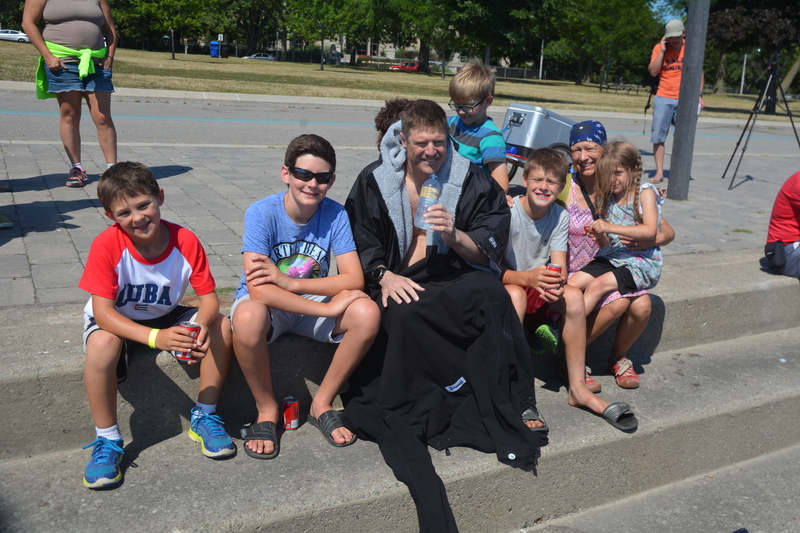 After enduring my swimming habit with patience and good cheer, my family waited patiently in the sun for me to finish: Kim and the kids (and the dog), my parents Doreen and Les, along with my brother Andrew King along with my nephews Julian and Nate. Fantastic also to be greeted by Sondra and Marcus (thanks for the ride home!) and Titi, Tom and Ben. Eileen, Titi, and Kim took some great pictures of the finish, as did Rob, Brenda, and several other friends, for which I’m very grateful. 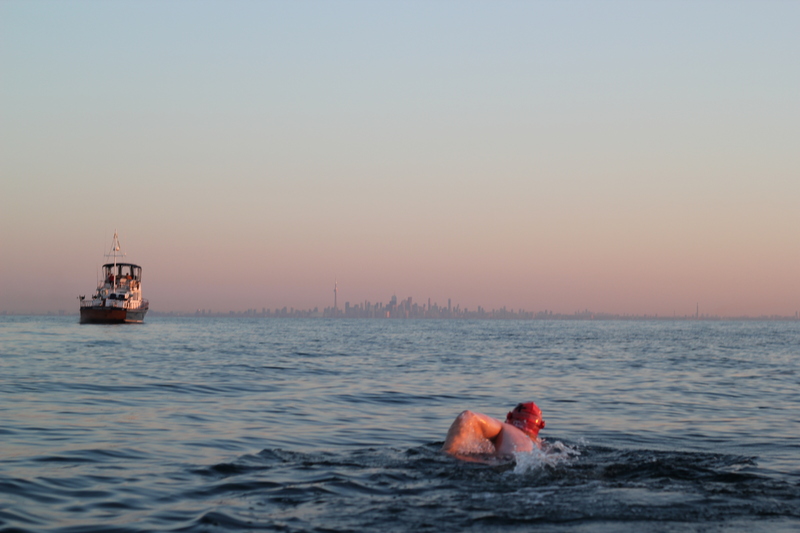 Geoff documented the entire swim, and many of the stunning images of the lake here are his. 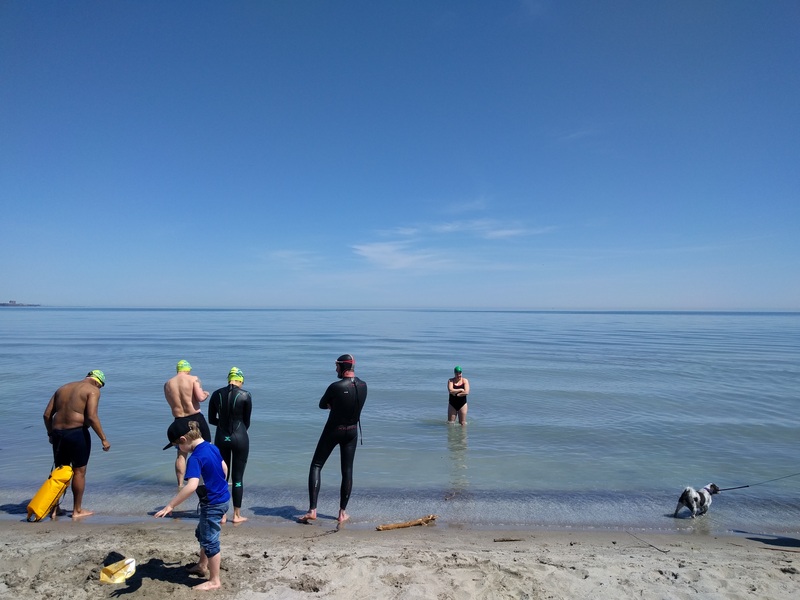 It’s humbling, reflecting on the extraordinary swimmers who have crossed this and the other great lakes, all of whom continue to give back to us, several via their involvement in Solo Swims, one of the two sanctioning bodies for lake crossings. 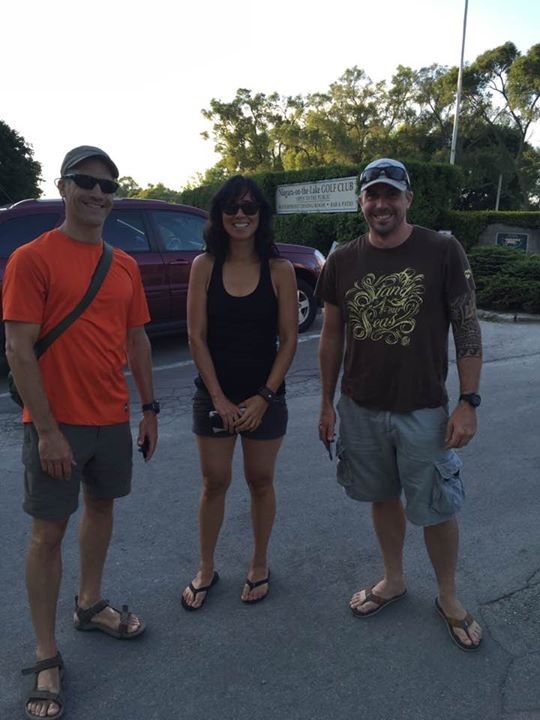 Kim Lumsdon and Bryan Finlay followed my training and gave important advice. 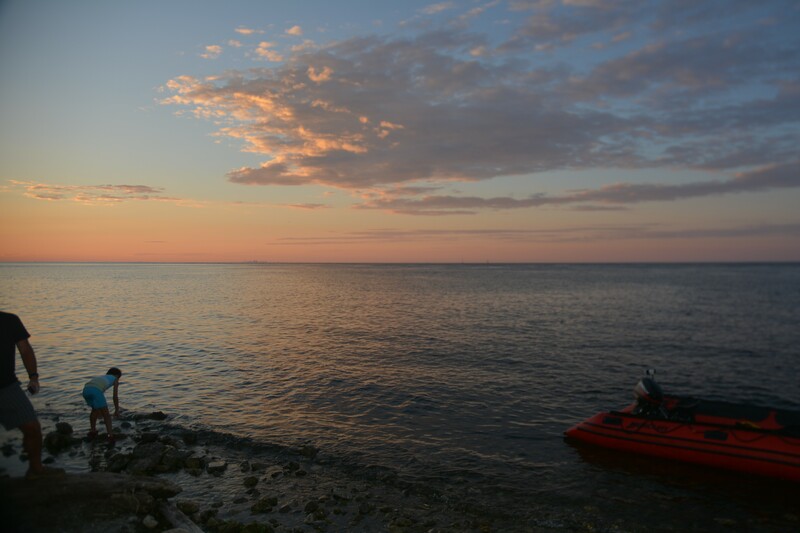 Marilyn Korzekwa offered her zodiac for the swim. 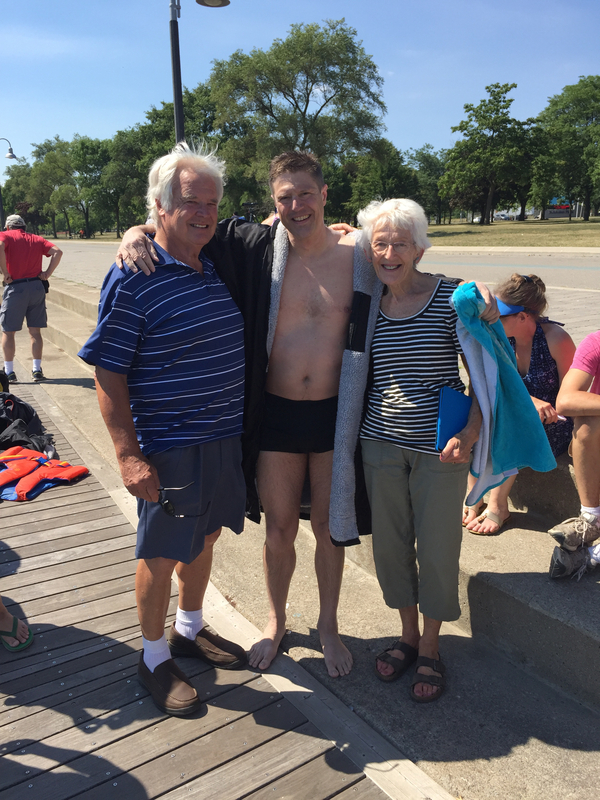 Vicki Keith has built one of the most astonishing legacies in Great Lakes swimming. 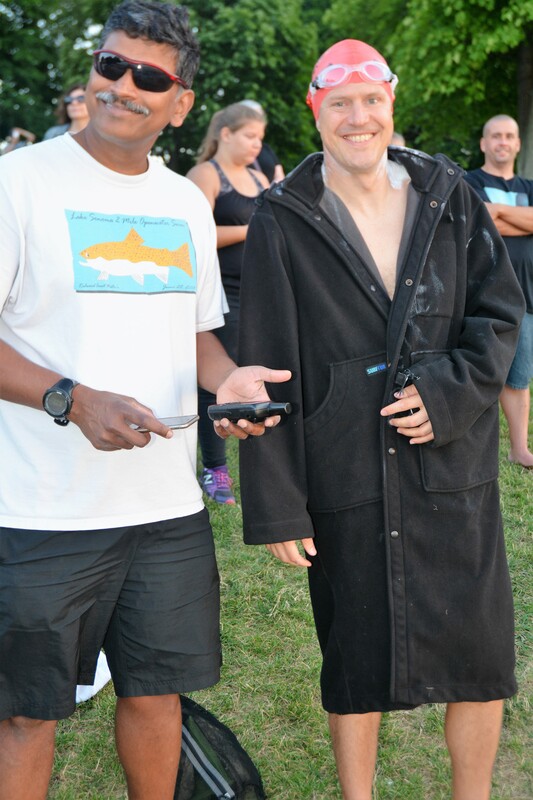 It was an honour to have her following our swim online. Marilyn Bell first crossed the lake in 1954, at the age of 16. 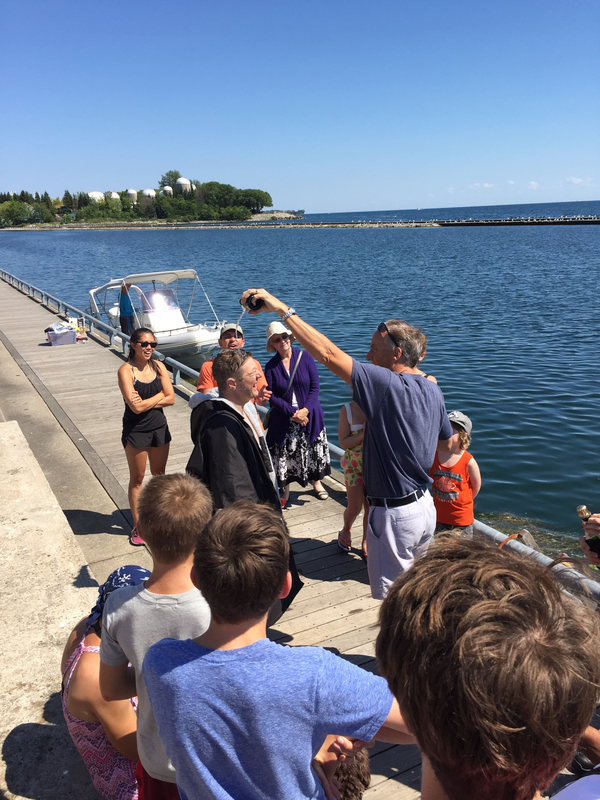 She is a pioneer for all of us, and she remains deeply attached to the Lake and the community of swimmers she continues to inspire. 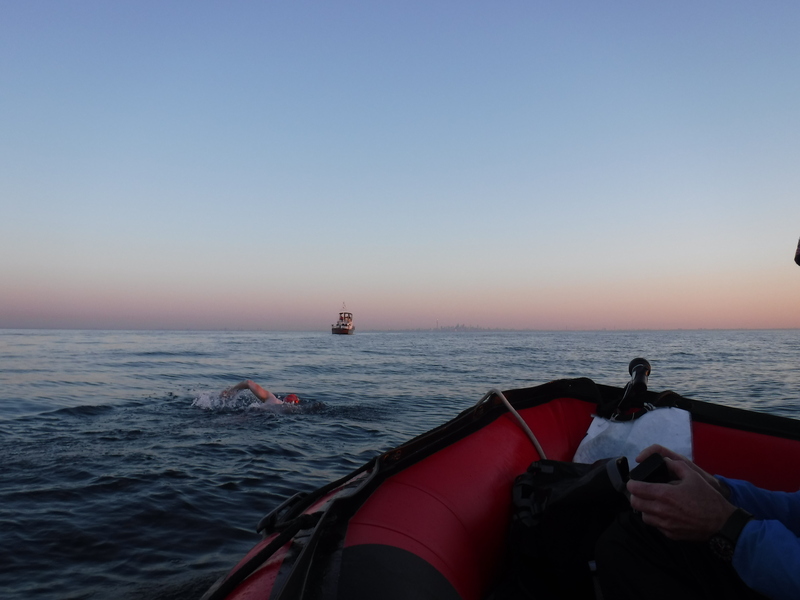 She and Bryan Finlay were in touch with the crew throughout the swim, as they have been for most every crossing of late. It has been an honour and delight reading her supportive words as we prepared to follow in her … I want to say footsteps, but maybe wake is better! Having her thoughts and words with us helped me get across. Thank you Marilyn. 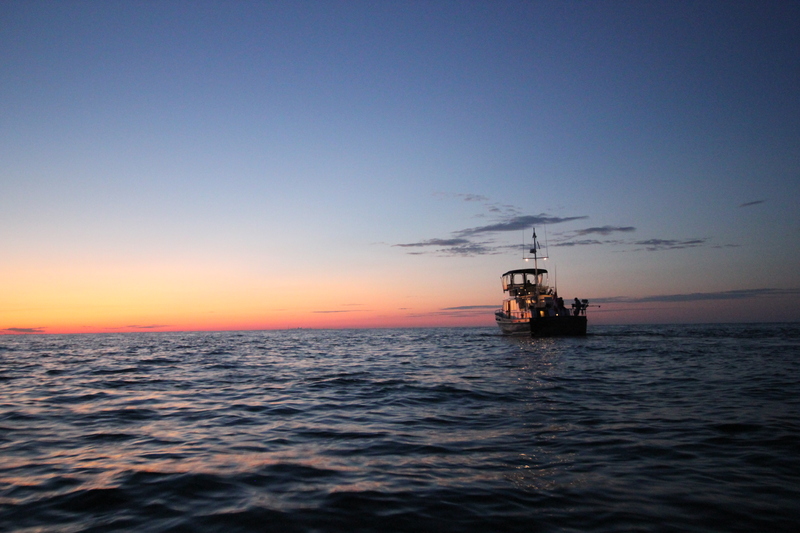 So again, to emphasize: it was, and is, so humbling and gratifying to be part of such an extraordinary team, with so many incredible friends – along with some fantastic organizations and three great companies – helping us, cheering us on, and believing in the Great Lakes Trust. 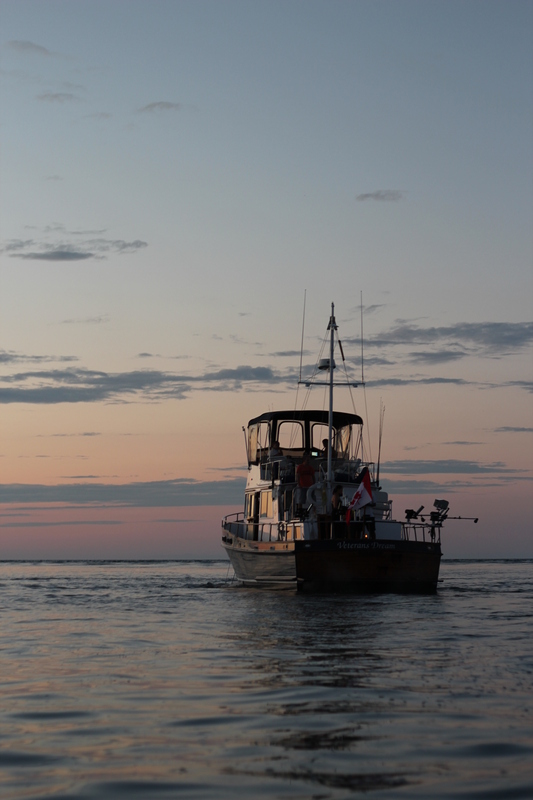 Thanks, again, so much everyone, and for keeping up the fight for the Great Lakes!